Is there a Geneva / New York divide? The New York Times has just published an interesting profile of Harvard scientist, Professor Martin Nowak, director of the university's Program for Evolutionary Dynamics. Nowak is a gamer - that is he takes informal ideas and builds them into versatile mathematical models in fields as diverse as economics and cancer biology. What's this got to do with human security or disarmament diplomacy? For some time, we on the DHA project have been thinking about what insights from the natural and behavioural sciences could do for work in these areas. We explored some of these in a recent book we published, entitled "Thinking Outside the Box in Multilateral Disarmament and Arms Control Negotiations" (click on the pink book at left to explore its contents). The underlying theme in Nowak's many projects is that of cooperation, "one of the most puzzling yet fundamental features of life". It's also a particular source of fascination for me because international relations are essentially problems of cooperation played out among states with different levels of interest, power and resources - inspired in part by the work of scholars like Robert Axelrod and Thomas Schelling. In some multilateral contexts structural or institutional factors can constrain the ways in which cooperation can develop. I discussed this in a chapter of our book called "Cooperation and Defection in the Conference on Disarmament" using some simple insights from game theory like variations of the classic Prisoners' Dilemma. I talked about the importance of "clusters of cooperators" in a population, who can change the rules of the game in real life situations as varied as the spread of viruses to the core group behind the 1997 Anti-Personnel Mine Ban Convention. 1. Figure out what's in your best self-interest, but take a broad view and look in the longer term if you can (call it enlightened self-interest, if you will). 2. Identify others you can work with to pursue your interest. Common interest is the best basis for sustained cooperation. 3. Cooperate. In the short term you may face opposition and obstacles from "defectors". But don't worry so much about it. You're stronger in a cluster, and over the long term you'll change the rules of the game - or pay-off structure - of interactions for everyone. Social interactions matter. "Dr. Nowak and his colleagues found that when they put players into a network, the Prisoner elsewhere in the network are not able to undermine their altruism. "Even if outside our network there are cheaters, we still help each other a lot," Dr. Nowak said. That is not to say that cooperation always emerges. Dr. Nowak identified the conditions when it can arise with a simple equation: B/C>K. That is, cooperation will emerge if the benefit-to-cost (B/C) ratio of cooperation is greater than the average number of neighbours (K). "It's the simplest possible thing you could have expected, and it's completely amazing," he said." John Borrie, "Cooperation and Defection in the Conference on Disarmament", in Thinking Outside the Box in Multilateral Disarmament and Arms Control Negotiations", Geneva: UNIDIR: 2006. 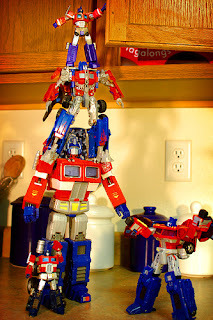 Picture by revlimit retrieved from Flickr. Engaged in long battles with Afghan security forces backed by NATO-led international troops, Taliban fighters have turned to landmines to block entry to areas where they operate, said Nabijan Molakhiel, a former police chief and a military expert." This is a quote from a news report by IRIN - the Integrated Regional Information Networks. Click here to read the complete report. Over the last few months, I’ve been researching cognitive biases and how they influence our decision-making. I looked at the confirmation bias, which is the human tendency to seek out and process information that confirms our preexisting beliefs. I also examined the self-serving attributional bias; when we blame unfavorable outcomes on external causes but take credit for positive ones. A recent article I read talked about a different bias: correspondent inference theory. Correspondent inference theory is the human tendency “to infer the motives – and also the disposition – of someone who performs an action based on the effects of his actions, and not on external or situational factors.” Paying attention to what those around you are doing makes “evolutionary sense” – most of the time, it pays to infer as quickly as possible the intentions of those around you. But it doesn’t work all the time in building an accurate picture of what’s going on. A recent paper, “Why Terrorism Does Not Work” by Max Abrahms, draws attention to how responses to terrorism are influenced by correspondent inference theory. First, let’s look at a lighthearted example to shed light on this. In the 1985 movie comedy The Man with One Red Shoe (which, by the way, is a remake of the French film The Tall Blonde Man with One Black Shoe), the CIA believes that a random civilian (Tom Hanks) is a spy so they set about investigating his life to prove it. In one scene, CIA operatives tear Hanks’ flat apart to try and find anything that would establish he is a spy, like disconnecting pipes in the bathroom to see if anything is hidden inside. As they rush to piece everything back together, they inadvertently connect the toilet pipe to the sink. When Hanks returns home, he repeatedly flushes the toilet trying to figure out why water comes out the sink spout. CIA officers, listening to this via the bugs they’ve planted, infer that he’s flushing evidence down the toilet. By misinterpreting what Hanks is doing, the CIA needlessly send an officer into the sewer to find this “evidence”. More seriously, Abrahms’ paper draws attention to the fact that it is sometimes assumed that the goal of terrorist activities is to kill innocent people and so instill fear or economic instability in a population. These assertions, according to Abrahms’ analysis of the policy objectives of 28 terrorist groups, aren’t necessarily correct. Many terrorist groups have avowed strategic goals. For example, Abrahms notes that al-Qaeda’s goals have been consistent (like ending American support of Israel and eliminating U.S. interference in Saudi Arabia). These goals, however, haven’t been achieved. In fact, Abrahms claimed overall that, out of the 42 policy objectives for these 28 groups, only 7 percent were achieved. The rest of the policy objectives were not achieved. What was the deciding factor between objectives that were achieved and those that failed? Abrahms’ data revealed that the target of the terrorist attacks was important. Groups that attacked military and diplomatic targets more than civilians were more effective in achieving their ends. Out of the 19 groups that primarily targeted civilians, there were 28 policy objectives between them. Twenty-five of these objectives were not achieved, and only limited progress was made toward achieving three. Abrahms’ explanation for this effect rests on correspondent inference theory. High numbers of civilian casualties from terrorism lead citizens and governments alike to infer that the aim of terrorist groups is to kill innocent civilians and disrupt their way of life. This inferred “maximalist” agenda makes them more steadfast in their resolve not to negotiate with terrorists. As a result, the stated goals of the terrorist groups tend to go unmet. Terrorism against civilians, it seems, isn’t a very effective tactic and, if Abrahms is correct, is even counter-productive if its aim is to compel governments to change their policies to meet the terrorists’ goals. Unfortunately, such terrorism goes on nonetheless. Max Abrahms, “Why Terrorism Does Not Work.” International Security, Vol. 31, No. 2 (Fall 2006). Photo by "shoothead" retrieved from Flickr.com. New Podcast – Warring instincts: what we can learn from behavioural economics & neuroscience? On 25 May we held our latest Disarmament Insight symposium with disarmament practitioners including diplomats, international civil servants, representatives of civil society groups and researchers, entitled ‘Human security, human nature and trust-building in negotiations’. We’re pleased to unveil the latest free podcast we’ve prepared from the fascinating presentations at that event. Click here to hear or download the second part of a talk by the economist and author of The Company of Strangers: A Natural History of Economic Life, Professor Paul Seabright. Professor Seabright's talk investigated "how have human beings tamed our warring instincts?" In the first podcast of two encapsulating his talk, Professor Seabright observed that, at a time when there's mounting concern about violence in modern society, rates of violent death are very much lower now than they were in the past, which he noted may come as a surprise to many. In this second 30 minute podcast, "Warring Instincts: What we can learn from behavioural economics & neuroscience? ", we've included Professor Seabright's slides to aid the listener. These are viewable on iTunes or in Quicktime Player in sync with the audio. 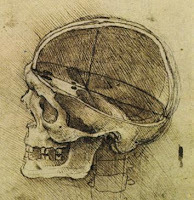 Photo: sketch of human skull by Leonardo da Vinci. In November 2001, Hamid Mir, a Pakistani journalist reporting from Afghanistan, watched “every second al-Qaeda member carrying a laptop computer along with a Kalashnikov” as they prepared to flee American bombing. These are the first lines of an article I recently read in “Le Temps”, a Swiss newspaper, describing the growing role the Internet allegedly plays in al-Qaeda’s terrorist activities. Terrorist organizations, and Al-Qaeda in particular, have not been caught on the hop by the fast development of recent technology. Quite the opposite: terrorist presence on the Internet is becoming ever more pervasive and sophisticated (last figures estimate the number of sensitive websites to 5’000). As described in a report by Gabriel Weimann, the Internet is in many ways the “ideal arena” for terrorist activities. Evident advantages include its ease of access, anonymity, little or no regulation and the possibility of communicating to a vast potential audience. Moreover, the volatility of websites, which can close and re-open with a different URL every day, increases the difficulty of tracking terrorist activities. 1. Psychological warfare: the Internet is used as a means of pressure or to instill fear (e.g. diffusion of execution videotapes). 2. Propaganda: via the Internet, terrorist organizations can directly control the messages they want to communicate in ways that are cheap and instantaneous. al-Qaeda cells now operate with the assistance of large databases containing details of potential targets in the U.S. They use the Internet to collect intelligence on those targets, especially critical economic nodes, and modern software enables them to study structural weaknesses in facilities as well as predict the cascading failure effect of attacking certain systems. 5. Recruitment: the Internet, and some online forums in particular, have been used as platforms to recruit specialists, not to mention candidates to be suicide bombers. 6. 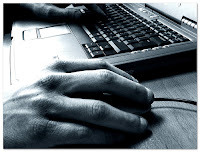 Networking: Through the use of the Internet, loosely interconnected terrorist groups are able to maintain contact one with each other (for more info about terrorist networks, have a look at this former post). 7. Sharing information: Internet is used to provide technical advice, from the way to create a detonator with a cell phone, to bomb recipes and encryption methods. 8. Planning: the Internet can be used to coordinate terrorist activities. For instance, bombings in Casablanca, Morocco in 2007 occurred in an Internet café, where the bombers were waiting for last-minute instructions from over the web about their intended target. In response, some government security agencies have implemented software, such as “Magic Lantern” or “Carnivore”, which aim to locate terrorist websites by scanning the Internet. These agencies have also recruited “cyberspies”, whose job is to infiltrate chat rooms and forums. These initiatives, however, are limited in number and scope, and usually lack much financial support because policymakers tend to underestimate the migration of terrorism from the physical space to cyberspace. According to Le Temps, the Swiss government, for instance, doesn’t have a specialized agency to combat terrorist activities in cyberspace – instead it uses existing services to combat cyber-crime and pedophilia when needed. Of course, adapting existing expertise and experience within governments to respond to new threats can be very effective. But in this context it may also indicate lack of attention. Meanwhile, the nature of terrorism will evolve with and take full advantage of new developments in technology and communication unless countered. Governments take heed. Le Temps, “Internet, la nouvelle base arrière du terrorisme”, 3 July 2007 (Swiss newspaper). Gabriel Weimann, How Modern Terrorism Uses the Internet, The Journal of International Security Affairs, Spring 2005 - Number 8, check that link. Dan Verton, Black Ice: The Invisible Threat of Cyberterrorism, McGraw-Hill/Osborne, 2003. To people in many societies around the world suffering the effects of the wide availability of small arms and light weapons - the Kalashnikov is its sinister poster-child - such concerns must seems a little strange, if not cynical. The Kalashnikov first emerged with the most patriotic of intentions after Mikhail Kalashnikov, a Soviet tank commander, was wounded in combat in late 1941. While recovering in hospital he began sketching gun designs and then joined a depot workshop of the Moscow Aviation Institute. In 1947 Kalashnikov designed the AK-47 and two years later it became the Soviet army’s standard issue rifle. Exported all over the world during the Cold War, the AK-47 and its variants became 20th century icons of communist struggle and revolution, famed for their durability and simplicity. The rest, as they say, is history. Or rather it would have been if production and trade hadn’t spread further after the Cold War ended. Interviewed in his placid retirement in October 2003 by The Guardian newspaper, the 83 year-old Kalashnikov displayed few qualms about how inextricably his name had become connected with “what was to become the world’s most prolific killing machine”. But three years later, Kalashnikov announced that he backed UN moves to halt the illicit trade in small arms. “It is not the designers who must ultimately take responsibility for where guns end up - it is governments who must control their production and export”, he said. One year ago last week I sat in on the UN review conference on the 2001 programme of action (PoA) to curb the illicit trade in small arms in New York, which closed without result. While a blow to international efforts to curb this trafficking and its human costs, the non-result was hardly terminal because PoA implementation will continue. Moreover, last October the UN General Assembly voted through a resolution toward negotiation of an international Arms Trade Treaty (ATT). Earlier this year the UN Secretary-General began consultations with member states on its possible content on which he’ll report this October. Such initiatives suggest that the complaints of Russian arms manufacturers about unauthorized knock-offs of their Kalashnikovs aren’t likely to attract wide sympathy unless they show their commitment to strict controls to ensure the weapons they make don’t end up being exchanged illicitly. And that doesn’t just apply to the Russians but to all arms producers. In October 2006, for instance, a U.S. government report revealed that the American military had failed to track hundreds of thousands of weapons intended for Iraqi security forces. Many weapons had gone missing. Some are turning up in the hands of the insurgency, others - including many American models - in the booming Iraqi black market in small arms. Meanwhile, the arms trade - both legal and illicit - is a big global business. Global controls on arms to prevent them falling into the wrong hands are going to need real sense of commitment by arms producing countries, along with willingness to accept the financial costs of rules. This is why civil society is so important and in particular the Control Arms Campaign and the International Action Network on Small Arms. They’ve already helped to build a lot of international momentum by highlighting the human costs of Kalashnikov and its ilk and encouraging governments to do what they see as the right thing on moving toward an ATT. Serious demands will be placed on the ability of civil society actors to persuade and gently nudge countries during an eventual ATT negotiation - and to subsequently implement it. These are more subtle skills than cajoling or finger pointing at existing abuses, important as that is. But they’ll be vital skills if the world is to ensure future anniversaries of the AK-47 are less unhappy. “Russia’s trademark gun turns 60 amid rumblings of profits lost”, International Herald Trib-une (15 July 2007), available online here. “Kalashnikov backs weapons control”, BBC News (26 June 2006), available online here. 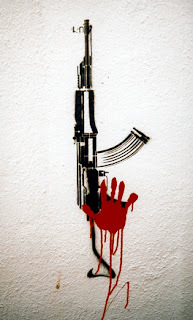 “Global arms trade: Africa and the curse of the AK-47”, Independent (6 April 2006), available online here. “Black-Market Weapon Prices Surge in Iraq Chaos”, New York Times (10 December 2006), available online here. “U.S. Is Said to Fail in Tracking Arms for Iraqis”, New York Times (30 October 2006), see here. Information about the Control Arms Campaign is available here. New podcast: What do we know about levels of human violence? Early this year we set up the Disarmament Insight initiative with support from our funders, the governments of Norway and the Netherlands, to help multilateral practitioners think differently about human security, disarmament and arms control. On 25 May, as part of that work, we held a symposium near Geneva with a group of disarmament practitioners including diplomats, international civil servants, representatives of civil society groups and researchers on 'Human security, human nature and trust-building in negotiations'. Among our speakers was Frans de Waal, one of the world's foremost authorities on ape behaviour. On the face of it, this might seem a bit odd. What could primatology offer disarmament negotiators? Quite a lot, as it turns out, and you can download Professor de Waal's talk as a podcast by clicking on this link. It has blown a lot of minds here in Geneva and elsewhere, judging from the feedback we've been getting from diplomats and others. We're now pleased to announce a further way to blow your mind - a free podcast from another of our speakers from that symposium, Professor Paul Seabright, economist and author of The Company of Strangers: a Natural History of Economic Life. You can download or listen to this podcast online by clicking here. Specifically, Professor Seabright's talk investigated "how have human beings tamed our warring instincts?". In this first podcast of two encapsulating his talk, Professor Seabright builds on the insight that, at a time when there's mounting concern about violence in modern society, rates of violent death are very much lower now than they were in the past, which he notes may come as a surprise to many. In this 30 minute part 1 podcast, "Warring Instincts: What doe we know about levels of violence", we've included the slides from Professor Seabright's talk to aid the listener. These are viewable on iTunes or in Quicktime Player in sync with the audio. In a couple of weeks, we'll be sure to post part 2 of Professor Seabright's talk, in which he explores what perspectives from behavioural economics and neuroscience can tell us in understanding armed violence. The way we perceive our world can have a significant impact on our decision-making and the way we interact with others. A recent Washington Post article reported on a psychological experiment carried out by Roy Baumeister that revealed one way our perceptions can influence how we view others. In the experiment, Baumeister asked participants to describe a situation in which they hurt someone else and a situation when they were personally hurt. They were also asked to describe how much pain these incidents caused another (or caused them) and whether their unkindness (or the unkindness directed at them) was justified. Come time to find out, when participants were on the receiving end of an unkind act (like a betrayal or a lie), they felt the act was “inexplicable, senseless and immoral” and that the pain caused by the act lasted a long time. (Surprise, surprise.) When these same participants were asked about the time they hurt someone else, however, they viewed their actions as “justified” and that they caused only brief pain. This phenomenon, known to psychologists as cognitive dissonance, plays a major role in our professional and personal lives. It means that when we inflict pain on another person (or group of people) we recognize this is not the right thing to do. We also believe that we’re a good person deep-down, which is in direct conflict with our behavior. Thus our brains downplay the harm we’ve caused. Alternatively, when we’re on the receiving end of a wrongdoing, we often can’t imagine seeing the situation from the perspective of the person that caused us harm. Who empathizes with a “wrongdoer”? In this case, it’s much easier to focus on the immoral and nasty nature of the acts against us. An interesting aspect of these dissonant feelings, and how we subsequently behave, is that the process happens in our subconscious. Shankar Vedantum, a Washington Post columnist, observed that a perfect example of cognitive dissonance at work is the way Republicans and Democrats who supported the war in Iraq are now justifying it. Many Republicans refuse to believe there were no weapons of mass destruction in Iraq (someone must have run off with them) and some Democrats seem to simply forget they supported the invasion at all. According to one researcher, “[This] is the way memory works and the way the brain works. We ignore, forget or dismiss information that suggests we might be wrong. We rewrite our memories to confirm what we believe.” In this case, subconscious, dissonant feelings are influencing policymakers’ behavior and the decisions they’re making (or not making) in the present. Like everyone else, disarmament diplomats also experience cognitive dissonance in their work. Awareness of this phenomenon is important because valuable time can be wasted while playing the “blame game” and trying to best justify our mistakes. Shankar Vedantam, “Bush: Naturally, Never Wrong”, Washington Post (9 July 2007), available online here. Carol Tavris & Elliot Aronson, Mistakes Were Made (but Not by Me): Why We Justify Foolish Beliefs, Bad Decisions, and Hurtful Acts, May 2007: Harcourt, 304 pages. "You used to ride on the chrome horse with your diplomat / who carried on his shoulder a Siamese cat..."
Nobody quite knows what this means, and Bob isn't giving any clues. I prefer a straightforward interpretation: The female subject of the song riding through Manhattan on a Harley Davidson driven by, well, a diplomat; possibly from South-East Asia (which could explain the Siamese cat reference). 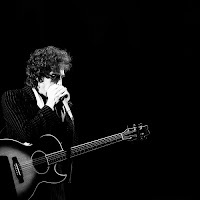 All of this set me to thinking about the very different experiences that diplomats dealing with disarmament and arms control must have in Geneva and in New York - apart, that is, from featuring or not in Bob Dylan songs. On one level, diplomats posted to Geneva and those posted to New York are supposed to be doing the same thing: defending their national interests in the face of competing interests of other countries and, in the process, providing and demanding concessions in order to squeeze the collective national interests of UN Member States into the frameworks of multilateral agreements. On another level, however, New York and Geneva are like chalk and cheese (excuse the pun). New York is the political epicentre of the United Nations. The city is famous for its fast-paced, no nonsense, in-your-face way of doing business. Geneva, on the other hand, is the United Nations' workshop for disarmament and arms control with a reputation for being quiet and laid-back and with a history of promoting humanitarian causes. These contrasts must translate into quite different experiences for diplomats posted to each place. But what if it goes further than that? It seems to me that differences between the political environments and ways of working in Geneva and New York is opening up a divide between the two UN centres that is making it harder for creative ideas on disarmament developed by States in one place to gain traction in the other. What a ridiculous idea, I hear you say. Surely diplomats, no matter where they're posted, will be following the same set of instructions from their Capitals, making it inconceivable that policy inconsistencies could develop between Geneva and New York? This is a reasonable view. But it doesn't match up with what we are seeing. First, while all 192 members of the United Nations are represented in New York, only 158 have permanent missions on Geneva. States without representatiion in Geneva are mainly developing countries, many of them from Africa and the Pacific. This makes it more difficult for proposals developed in Geneva to gain traction in New York, particularly if they concern conventional arms control issues with important humanitarian, development and assistance dimensions. Second, proposals generated in the relatively calm and specialised Geneva environment often fall victim to the political maelstrom of issue-linkage and horse-trading that characterises United Nations politics in New York. This process is sometimes helped along by plenipotentiary Ambassadors who, on occasion, exercise their powers in New York by sacrificing "made in Geneva" initiatives on the alter of some higher national priority, despite that fact that their own country may have played a role in developing them in the first place. All of this begs the question, what can be done? Apart from Geneva-based actors becoming more politically savvy and New York-based people becoming more willing to accept proposals from outside their sphere of influence, I'm not sure. I would be very interested in hearing other people's views on this, particularly those of diplomats and others working in New York. In the past, in a negotiating conference room, one could always tell when something was afoot. Delegates would be moving around the room – often with unseemly speed - clutching sheaves of draft text. Conclaves of ambassadors would huddle in a corner to sweat out the immediate joint response to a smart proposal from another delegation or group. Junior members would be sprinting to the photocopiers and nicotine addicts would be pacing around outside together conjuring up fixes – I even know of diplomats who took up smoking so as to be part of the smoke-filled rooms that always seemed to be where the creative ambassadors and others produced the ground-breaking work. Now mobile technology is changing all that. 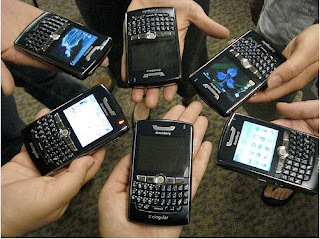 Calls and text messages via phones or Blackberries rebound around the conference room. Vibrating handsets have given a whole new meaning to the “buzz” in a room. Jokes are zapped through – although how these work in an intercultural environment makes me wonder about the wisdom of that – we can only hope that smiley faces are sprinkled liberally throughout: “International incident caused by text message” is undoubtedly a newspaper headline of the near future. One of the phenomena that I’ve become increasingly aware of is that when a delegate takes the floor, his or her phone seems to start to ring immediately – the microphones pick up the signal even when the phone is set to silent. It could be my imagination, but it this phenomenon seems to occur with more frequency when the speaker is making a statement on behalf of a group of states. In a recent meeting I attended, a regional group convenor took the floor to respond to a critical point made by the chairman, and, immediately, his phone gave a message signal and he looked at it. Again maybe my imagination, but this normally astute, to-the-point diplomat, said nothing of significance at all and his statement seemed to be cut short. Coincidence? Maybe, maybe not. But in the pre-mobile communication era, nobody could have signalled to him that they were in disagreement without running up to stop him from speaking and exposing themselves and the disagreement within the group to all. Now they can, so maybe they do. Another consequence of the use of mobile communicators in the conference chamber is the now well-known “reporting back by factions” strategy. Within large delegations, in a politically-sensitive negotiation, there are often deep divisions. These divisions can be political, institutional or personal – often all three. In some of these delegations, those with opposing views, who wish to see differing outcomes, are reporting back to capital in situ using wireless internet communication or hand-held email communicators, such as Blackberries. In the past, this was done after a speaker had made her point to the floor: one of the opposing factions would be seen running out after the speech to report back by phone to capital on what she had said and how this had served to subtly undermine the government’s agreed position. Fights would then break out back at the embassy later that evening and a set of new instructions and shifted positions would emerge overnight or over a period of a few days. Now, when she is speaking, one of the opposing factions sits behind her - email communicator in hand - reporting back as she speaks. Even while she is speaking, her phone will be buzzing with text messages, sometimes of support and sometimes to attempt to intervene and influence her trajectory. The pressure must be terrible. “They enable a negotiator to gain access to distant resources and sources of information more easily. Conversely, they lose their value if these links became a straitjacket restricting object-oriented responses flexible enough to capitalize on opportunities emerging from negotiating dynamics (of “being in the room”)”. They can promote social bonding through jokes, expressions of concern and support, or they can convey terrifying messages of accusation and threats whilst one is speaking. The impact of these technologies on the way delegations are doing business in the negotiating room is hard to measure and is something we’ll return to in the future in this blog – in the meantime I strongly encourage someone to take it up as the subject for their PhD thesis. This is a guest blog from Dr Patricia Lewis. Patricia, Director of UNIDIR, is the owner of a mobile phone, a laptop, but not yet a Blackberry. John Borrie, “Rethinking multilateral negotiations: disarmament as humanitarian action” in John Borrie & Vanessa Martin Randin (eds. ), Alternative Approaches in Multilateral Decision Making, Geneva: UNIDIR: 2005, pp. 7-37 (to download a free PDF version, click here or on the brown book cover at left on this page). Gapminder or “Making sense of the world by having fun with statistics"
“Fun” and “statistics” aren’t words that normally fit together. Endless unreadable charts, incomprehensible graphs (what does x stand for, again?... ), average, mean, median, standard deviation…Yes, statistics can certainly be boring. However, as illustrated by Gapminder, a non-profit dedicated to communicating and disseminating global-development statistics, this isn’t necessarily the case. "When the bubble started to move, people got very excited!" Rosling gleefully recalls. His students sat bolt upright as he began calling global development as if it were a horse race: And there goes China down the stretch, while sub-Saharan Africa continues to fall farther and father behind.... "It was a tremendous breakthrough in my lecturing," reflects Rosling. Rosling’s work, however, isn’t just about eye-candy like nice animations. Behind the Gapminder initiative is the idea that data about the world should be free, accessible and understandable. Adopting an “open-source philosophy” may highlight possible errors and omissions and therefore has the potential to improve data quality and transparency. As in global development, it’s time to promote a “fact-based worldview” in the field of armed violence. In June I attended a workshop organized by the Small Arms Survey in Geneva on measuring and costing armed violence. It occurred to me there that principles and tools, like the ones developed by the Gapminder initiative, could greatly increase understanding of armed violence and of its cost, not least among multilateral policy makers. We know this because in January, as part of the Disarmament Insight initiative, we held a workshop with nearly 30 Geneva based multilateral practitioners from diplomatic Missions, international organisations, Non-Governmental Organisations and think tanks. Our warm up for the day was to show them Rosling’s 20-minute TED talk above. It had every one of them transfixed. 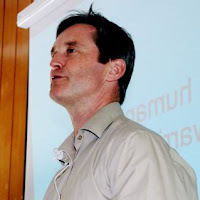 In a subsequent Disarmament Insight workshop in May, the economist Paul Seabright (author of ‘The Company of Strangers’) showed participants that some dimensions of global armed violence are deeply counter-intuitive, something we’ll return to in coming posts on this blog. Obviously, if policy makers are unaware of these dimensions they’re less likely to be effective in tackling problems of armed violence. A “statistics about armed violence for the rest of us”, please? Information about the TED conferences is available at http://www.ted.com/. You'll find Rosling’s presentation here (it can also be downloaded for free as a video podcast from the iTunes Music Store). Andrew Blum, “Graphing the Development Gap”, BusinessWeek, 22 February 2006, available online here. Photo of Hans Rosling retrieved from his personal blog.